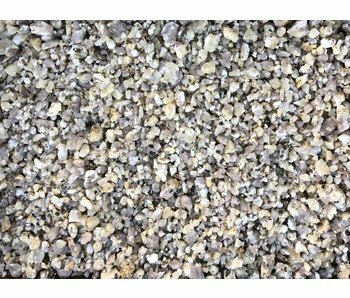 There are two sizes of gravel commonly used in Japanese gardens. 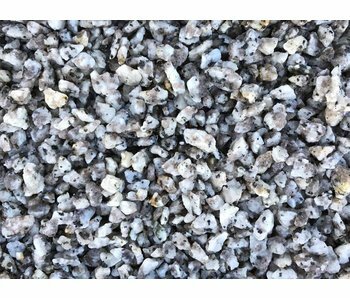 Small gravel, which is tiny and sharp on the edges, often signifies water in Zen gardens that dont include the wet element. 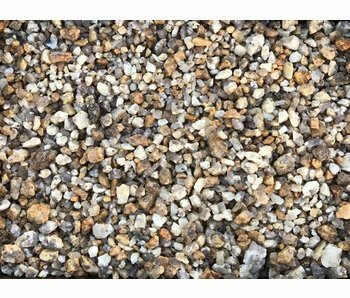 Raking the small gravel allows you to create waves and patterns that resemble water. 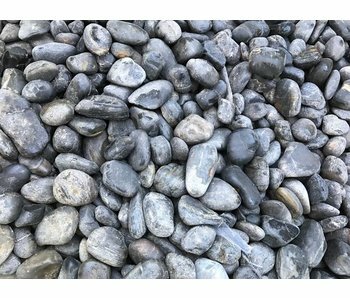 Larger, pebbles usually rounded and smooth, can also be used to represent water in larger gardens, although its most typically used as a background for larger elements such as stepping stones or statues. Bigger pebbles are also used to fill the so called Sokkou or gutter that is used to discharge the rain comming from the roofs.